Introducing the home laundry range. 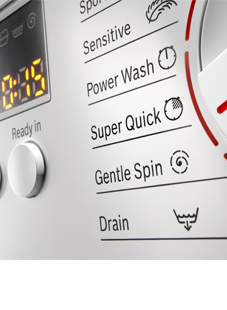 Bursting with green technology, our range of tumble dryers and washer dryers can save you even more water, energy and time. 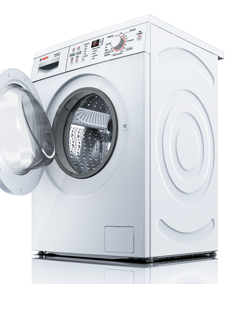 Energy efficient tumble dryers With clever new functions available across the range, your laundry will be dried to perfection with perfect results every time. Dried to perfection. Too dry? Still damp? You don’t need to worry anymore because sensor drying tells you when your laundry is ready so you can get on with other things. No extra energy is wasted on unnecessary heat either. Clever! Effortless energy saving. 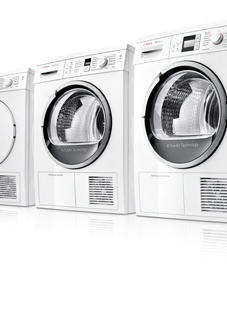 Bosch tumble dryer’s are amongst the most energy efficient models available, Rated at A+, you can relax about using your tumble dryer. Self-cleaning. So you don’t have to. To run at peak efficiency, the condenser has to be kept clean. The ground-breaking Self-cleaning System automatically uses water from the drying cycle to flush the lint out of the condenser saving you a job. 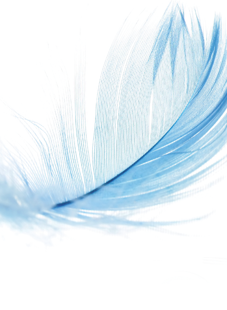 A gentle touch. Feel confident about drying delicate items, because low heat protects items by lengthening drying time and reducing the temperature. In a hurry? For times when you need dry laundry sooner, Super Quick 40 will dry a small load, which is roughly 10 business shirts, in 40 minutes. 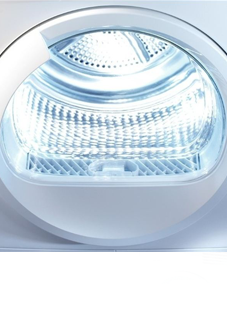 It’s sensor controlled for great drying results.